Using the form from the government go to the bank. This will only work if you have the original form as it has electronic ink. With some banks it is a whole different login than the one you usually use and can take quite a while to set up. Arrears needs to be paid to arrears. Do not combine payments for different months or sections into 1 payment- it will cause issues in fixing them later. If you need help with any of these methods contact us and we will walk you through it. 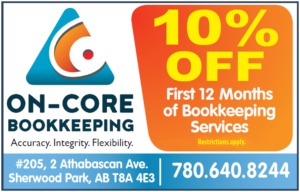 http://www.oncorebookkeeping.ca/wp-content/uploads/2017/01/cra-e1483636451844.png 84 300 Chris http://www.oncorebookkeeping.ca/wp-content/uploads/2016/06/logo-1.jpg Chris2017-10-10 12:15:352017-10-18 12:04:39CRA My Payment - How to Pay the CRA.